ADMISSION: Admission is $10.00 per adult at the door. Children 12 and under are free. For further information, call 973-335-9489 , or visit www.folkproject.org . The Folk Project website also offers music samples of Minstrel performers: http://www.Minstrel.folkproject.org . In a career that spans six decades, 26 albums and three GRAMMY® awards, Hudson Valley Troubadour Tom Chapin has covered an incredible amount of creative ground. In addition to his work as a recording artist and concert performer, Chapin has acted on Broadway, as well as working extensively in television, radio and film. As a music-maker, the multi-talented singer/songwriter/guitarist has maintained two long and productive parallel careers, both as a highly respected contemporary folk artist and as a pioneer in the field of children's music. In both roles, Chapin has established a reputation for insightful, heartfelt songcraft and effortlessly charismatic live performances. He continues to engage the hearts, minds and imaginations of young listeners with witty, life-affirming original songs delivered in a sophisticated array of musical styles. In either format, Chapin's infectious songs, sterling musicianship and personal warmth consistently shine through, whether he's performing on record or in a concert hall, an outdoor festival, a school, in front of a symphony orchestra or in an intimate coffeehouse. The New York Times called Chapin "one of the great personalities in contemporary folk music," while Billboard called him "the best family artist around" and described him as "totally captivating." 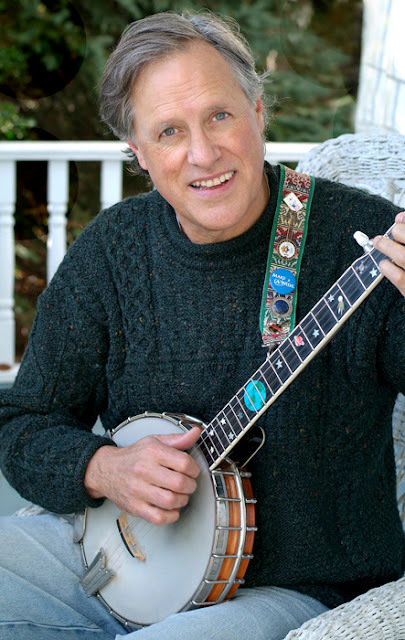 Parents magazine stated, "Nobody today is writing and performing better kids' songs than Tom Chapin." Chapin launched his solo recording career with 1976's Life Is Like That. It was the first of a string of albums that further established his reputation as both a gifted storyteller and a natural entertainer, winning him an uncommonly loyal fan base in the process. He also continued to venture into other creative areas, playing the lead role in the hit Broadway musical Pump Boys and Dinettes, working off-Broadway as musical director of both Cotton Patch Gospel and Harry Chapin: Lies and Legends , and serving as host of TV's National Geographic Explorer. He's also written and performed satirical topical songs for National Public Radio's Morning Edition , and had a cameo role as the Vice Presidential candidate in Jonathan Demme's 2004 remake of The Manchurian Candidate. Sit for an hour with Dan Pelletier and you’ll walk away chuckling, shaking your head, wanting a long, cool drink and the red, tender lips of someone to love. He will show you himself, yourself, your lover, your family and friends and quite a few characters you may not know, but will instantly recognize. They jump out of his songs full of beauty and blemishes, brilliance and foolishness, insanity, humor, intensity and tenderness. musicianship and performance skills in the northern New Jersey area; and to provide interesting social and learning activities relating to traditional and participatory folk music and dance.